Recognized as one of Greater Vancouver’s original bedroom communities, the six Coquitlam neighbourhoods located in the heart of the city are ideal for real estate buyers looking for predominantly single family homes and duplexes, with a smaller selection of townhomes and condominiums. Easy access shopping, schools and green spaces, in addition to affordability make the neighbourhoods of Coquitlam West, Harbour Chiens, Harbour Place, Chineside, Central Coquitlam & Mallardville a popular choice for families. Learn more about this area. Get REALTOR-LEVEL Listing Access in REAL-TIME of Maillardville-Central West, Coquitlam MLS® listings. Use our MLS® search tool below to find Maillardville-Central West, Coquitlam homes for sale. Browse through Maillardville-Central West, Coquitlam condos, townhomes, single family homes for sale, quickly get a general idea of the real estate prices in this area. Get instant access to information about Maillardville-Central West real estate, including property details, prices, photos, location maps, Google Street View, Walk Score, a mortgage calculator, neighbourhood profile and census data. 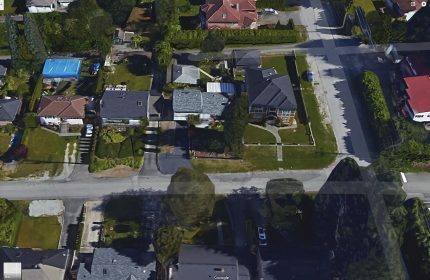 Find Maillardville-Central West, Coquitlam, BC apartments and homes for sale, based on features and neighbourhood. Each listing has links to a census statistic page and a neighbourhood profile to help you find the area of Coquitlam that's right for you. Floor Space (total): 4299 sq.ft. Floor Space (total): 4000 sq.ft. Floor Space (total): 7248 sq.ft. Floor Space (total): 2566 sq.ft. Floor Space (total): 2026 sq.ft. Floor Space (total): 2156 sq.ft. Floor Space (total): 2000 sq.ft. Floor Space (total): 7185 sq.ft. Floor Space (total): 2080 sq.ft. Floor Space (total): 1994 sq.ft. Floor Space (total): 1549 sq.ft. Floor Space (total): 1979 sq.ft. Floor Space (total): 646 sq.ft. Floor Space (total): 5995 sq.ft. Floor Space (total): 3500 sq.ft. Floor Space (total): 6168 sq.ft. Floor Space (total): 6981 sq.ft. Floor Space (total): 1250 sq.ft.